No matter where you live, county, state and national attention is on disaster preparedness for the individual, family and community. 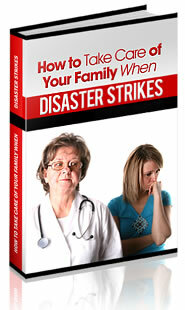 The importance of a family mission to survive and sustain themselves during a disaster cannot be minimized. Residents of every community are being urged to have a disaster plan, to share and practice the plan, and to become aware of their community resources for emergency preparedness. The business community, familiar with both mission and vision statements, is also being urged to have a full back up plan for restoration and actions needed by employees in the event of a disaster. A mission statement will make the decision-making process easier for the family or the business. Your mission statement also lays the groundwork for cohesiveness in actions that will serve the plan. Within the chaos of a serious disaster, one of the benefits of the mission statement is that it will maintain focus on the correct strategic actions needed. With less surprises, the family members or business employees will have similar missions and expectations and ultimate success. An important example of reducing chaos and stress in decision making is found here in a firefighter team mission statement: “We meet the fire at its week points, knocking it out, not giving it a chance. We know the fire and use the knowledge of its behavior patterns to snuff it out. We are tough and do not waste our strength. We plan our tactics and anticipate the fire’s moves. We use proven tactics and avoid bad ones. We engage the fire when we know we will prevail over the fire. We do not repeat the mistakes of other encounters” says Doug Campbell, Fire Behavior Analyst and author and instructor of Campbell Prediction Systems. Campbell could then give attention to an effective vision statement for the team: “We will become wise fire fighters. We will find out what the fire is about to do and plan for dealing with its potential. We will become known for our wild fire wisdom and be able to avoid its traps and find its weakness. We will learn to communicate the whole fire situation and thereby save others from poorly devised tactical actions. We will minimize all negative impacts on the fire fighters we supervise, keeping them strong and well throughout the siege.” Now is the time for both family and business preparedness. Have your family or business prepared for an emergency or disaster in your area. It’s important.